National City, Ca – Just recently Ronald Reagan UCLA Medical Center reported that 179 patients were exposed to an antibiotic resistant “superbug” during endoscopic procedures. These “superbugs” also called carbapenem-resistant Enterobacteriaceae, or CRE, may have infected seven patients and might have been the cause of two deaths. Similar outbreaks of CRE and other infectious diseases associated with improperly cleaned or sterilized medical instruments have been reported around the nation. Last year, a Seattle Hospital was under investigation after hospital officials reported that more than 100 patients were put at risk of infection because of dirty medical instruments. Hospital Acquired or Associated Infection is a serious problem in all healthcare facilities. Twenty percent (20%) of all infections can be prevented by healthcare professionals complying with proper policies and procedures. More than 15,000 trays of instruments pass through a sterile processing department every month. Each tray may consist of 50 pieces of equipment for one surgical procedure. That totals to about 750,000 instruments per month and each tray and instrument must be free of infectious disease to protect the public and the healthcare staff. Learning institutions such as Southern California based Martinson College, who specializes in sterilization and instrumentation processing technology, offers Sterile Processing Technician (SPT) certification program that adhere to established industry sterilization and decontamination standards. They have training affiliations with hospitals throughout Southern California and provide qualified technicians to these hospitals. “Proper training is very critical and must be expected from any healthcare worker. This ensures public safety and protects the community from preventable tragedies. Our goal is to educate and impart proper knowledge to future Sterile Processing Department (SPD) workers and help raise the standard of healthcare in our community,” Said Willy del Rosario, SPT instructor at Martinson College. Sterile Processing Technicians work in the Central Service or Sterile Processing Department (CS/SPD) of a Hospital. This department manages the entire process of decontamination, assembly, packing, sterilizing and distribution of the various medical instruments and devices needed by the facilities’ multiple operating rooms. In 2015, a growing number of medical facilities such as hospitals, surgical centers and even biotech companies are requiring applicants to be certified in order to be considered for employment. Recently, healthcare accreditation bodies and the Center for Medicare and Medicaid Services (CMS) have stressed the importance of certification for those individuals working in these departments. Because of this, more department managers and supervisors are hiring more certified technicians. “When we started offering the Sterile Processing certification course in 2013, we started with a couple of hospital affiliations for externship training. At present, our externship facilities have more than doubled due to requests made by the hospitals themselves asking for more certified technicians to join their staff. Our students come from different backgrounds – certified nursing assistants, medical assistants, and home health aides among others. Some come from years of unemployment or have just migrated to the US, and it has been very rewarding to see them start a new career in such an important area of healthcare,” shared Gladys Kuizon, Externship Affiliation Director for Martinson College. Martinson College has externship affiliations in Los Angeles, Orange and San Diego counties and offers externship assistance nationwide. 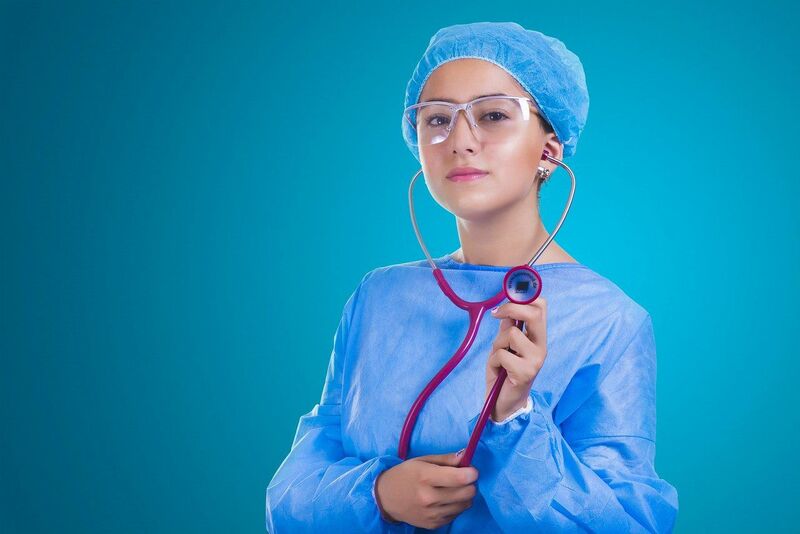 According to the Bureau of Labor Statistics, US Department of Labor Occupational Outlook Handbook, employment of medical equipment preparers including sterile processing technicians is expected to grow 17% between 2010-2020. J. Martinez, a graduate of Martinson College, stated that the sterile processing profession is becoming popular due to the increasing need. I was a CNA before I took this program. I was looking for a career that would enable me to advance, as well as, improve my income. I enrolled in the program and completed the 10 week certification program. I was hired before my externship ended and was offered a starting rate more than what I was making in my previous profession. “I feel so fortunate to have stumbled upon this course. I was laid off from my previous job at 44 and have been unemployed for more than a year. I couldn’t find employment using my previous skills and experience and I knew I needed to train for another career but do not have the time or money to enroll in a degree program. I needed something short and not very expensive. I took the Sterile Processing certification course at Martinson College and successfully passed the board exams within 2 months. Martinson College placed me for externship at a Hospital at Orange County and right after my training, I was offered a job that paid more than my previous job! It feels amazing to be back in the workforce again!” said P. Jackson, a former administrative assistant. “One key solution to eliminate improperly sterilized surgical tools and instruments in hospitals is proper education and training. Being able to protect the patients, as well as, the staff from harmful infection is critical and should be the highest priority in all hospitals”, stated V. Flores, a Martinson College graduate. The medical instrument sterilization industry is constantly evolving. As new methods and technologies develop, more skilled Sterile Processing Technicians will be needed to implement these highly technical procedures. This will open up new opportunities to individuals who want to make a difference and forge a new career.